I personally love the show. I like that Caillou is “bratty”. If shows some parents how to respond to their. Children with yelling or hitting. As far as the not having hair young?… My daughter is nine months and has a huge bush on her head. And isn’t Cauillou older than his younger sister who has short red hair? 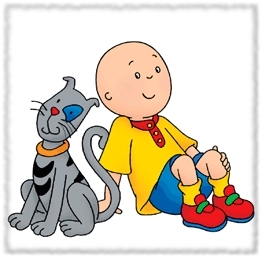 Yeah Caillou is definitely older than her …and yet never seems to grow any hair no matter how old he gets. This just fuels the rumors that he has cancer even more and leads to weird explanations from the show like he’s bald “to represent all children”. I think they’re keeping him bald because they feel like it’s part of his look that people recognize, but it does make things a bit awkward after a while when everybody else in his family has a full and vibrant head of hair. I think the theory that Calliou’s grandmother narrates his stories to keep the memory of Calliou alive seems quite possible. 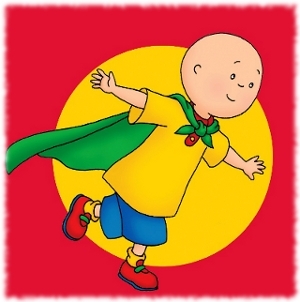 I don’t understand how every character has different clothing, but Calliou does not. Could that be a reason some believe he’s already dead? Because everyone can go on and do things with their lives like change their clothes, but he can’t? Maybe Calliou is the only one without different clothes in each episode because it makes him more recognizable to kids as the main character, but so does his lack of hair on his head. It might not make too much sense because it’s hard to explain, but it’s just a thought. Maybe he just poor and don’t got money for new clothes? Hey. So I think caillou is a great positive cartoon for kids.me my husband and our son love cailliou.Dallas only watched one episode and said he wanted to sleep in his own bed because caillou sleeps in his own bed and my husband believes that the reason cailliou is bald is because the creators want to show other kids that not all kids have hair and that they don’t have to be afraid or treat them different.we love bald kids or kids with hair. God made us all the same. Great to hear that Caillou is such a positive influence in your family :). Sounds like your son is being raised right too! I completely agree. My son absolutely loves Caillou. I don’t think that he is learning any bad habits or whining from watching him, if anything he’s learning to share and be nice with manners. 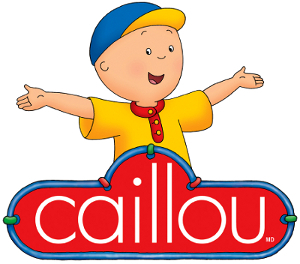 Just like any other show, there are going to be things that you and i, as parents, must teach our kids not to do but the majority of the things on Caillou are helpful for children. 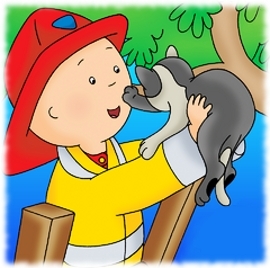 Whether or not Caillou really does have or had cancer is completely irrelevant. He’s a happy child who is living his life to the fullest no matter what and that should teach kids to do the same and be strong. I personally like Caillou and will continue to watch it with my kids. They should have imbraced the ledgend. Im currently banning any parent who would take such an ignorant position but, mostly I feel sorry for their children. Their children are on their own to grow up normal and not the next generation’s biggots. Yes I think banning those parents is a perfect idea. I Cant There Is Pepole Who Think Cancer Is Contagious. Read The Facts! Pretty sad isn’t it? But luckily I think that’s not something that’s too much of a problem these days.